Just thinking: could Quantified Self devices lead to #IoT BYOD for companies? 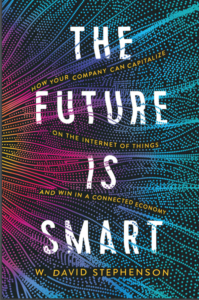 I’ve been noodling how do you introduce the Internet of Things to companies that haven’t even heard of it, let alone have a strategy to capitalize on it. It would probably have to be something that would have minimal up-front costs, provoke aha! moments that would stimulate other IoT initiatives, and would provide some quick return on investment. Having just read SAP’s interactive report on mobile strategies, it dawned on me: if companies are now comfortable with creating BYOD policies covering smartphones and tablets, what if they were to create formal policies to encourage employees to bring their Quantified Self devices — Jawbone UPs, Nike FitBits, and the like — after all, the workers are probably already doing so anyways! What if — thinking out loud here — the company could enter anyone using one of the devices during the work day in some sort of contest with fitness prizes, or, — this is more controversial because of privacy concerns — if they offered discounts on health insurance for workers who were willing to share their QS data with the company (since companies are penalizing overweight workers, shouldn’t it work the other way as well?). Heck, given the payback in terms of lower absenteeism, higher productivity, and lower medical claims, I bet you could make a plausible case that it would be in the company’s enlightened self-interest to actually pay for the devices for those who don’t already have them. It’s just a thought, and there would be a lot of details to work out, but I think it merits consideration as a way to introduce the IoT’s benefits to corporate America. Let me know how you feel!